A gold ingot classic: a midwinter must. Open the wardrobe door and lose yourself in the snowy magic of Narnia. When Lucy, Peter, Edmund and Susan step through an enchanted wardrobe door, they walk into a sparkling winter world. It’s a place of dazzling snow and fabulous creatures: centaurs, fauns and nymphs. But as the children marvel at Narnia’s winter wonderland, they are caught up in a terrible battle for survival. In this place of great beauty, there is also great danger. The White Witch must be defeated, or winter will never end. C.S. Lewis Narnia book series has left lasting memory to every readers by its remarkable magical events describe in the books. 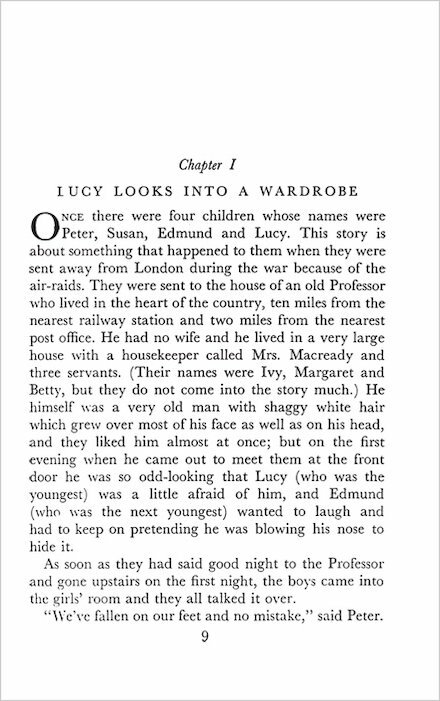 The chronicles tells the adventures of Aslan and his friend in the magical land of Narnia. Every reader will surely enjoy the tales of magic, witchcraft, truth & beauty, with truth triumph over evil, this way the Chronicles of Narnia became an unforgettable fantasy novel to this world. This book is awesome ! Really good book. C.S. Lewis’s books are interesting, and educational. I tell you – it’s worth it to ready it ! I really want to read this book. I have watched all of Narnia though. I think this is one of the best books ever written! It’s so beautiful and fun to read. It feels like Narnia is a real place :) I really recommend this, and all the other Narnia books. I simply adore the chronicles of Narnia, and often wish that I could find my own magical land in the back of my wardrobe and make friends with a faun. 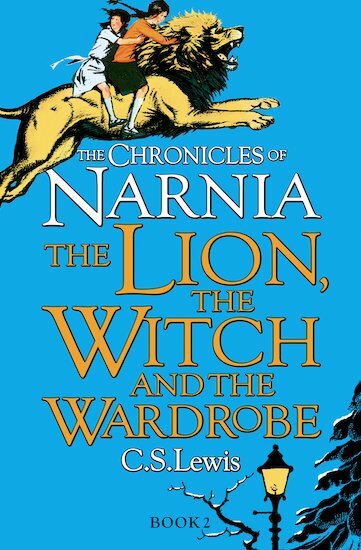 Great book about children going through a wardrobe and ending up in the magical land of Narnia. It’s another one of my favourites. Well its about a girl called Lucy her sister Zusun and her brothers. Lucy found a magical place called Narnia she met a faun called Mr Tumnus. Awesome book, the whole series is awesome! Full of adventure, love and well everything, it’s great!! i ave read the book and seen the film they arr lovly 10 stars! This book is so cool. 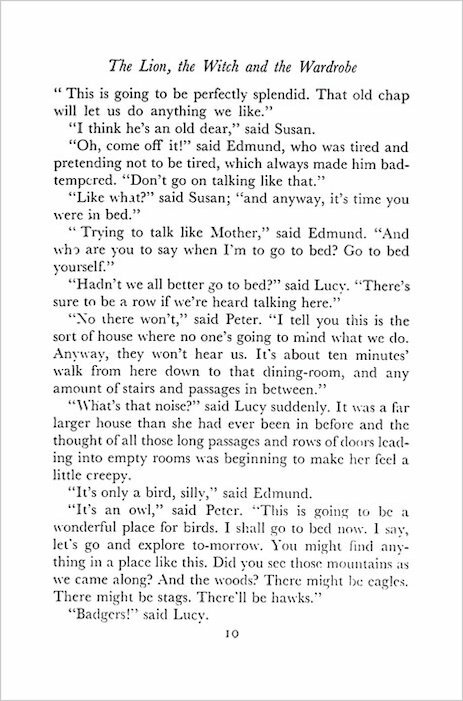 My mum read it when she was little too so I think it is quite an old story.